Electronic Arts has announced PopCap’s Plants vs Zombies 2 has exceeded over 16 million downloads worldwide, making it the biggest mobile game launch in EA’s history. It also achieved one of the biggest opening weekends on the App Store for a game title, with its one day totals breaking EA’s previous records by almost double. PopCap today also announced Plants vs Zombies Garden Warfare will make its debut first on Xbox One in Spring of 2014, with pre-orders starting today. Looks like the PvZ franchise is looking pretty healthy right now. Plants vs Zombies 2 is actually a lot of fun and the game is based on a freemium model, so we can see its explosive popularity due to its low cost of entry (free), similar to what many anticipated when Real Racing 3 adopted a similar model. 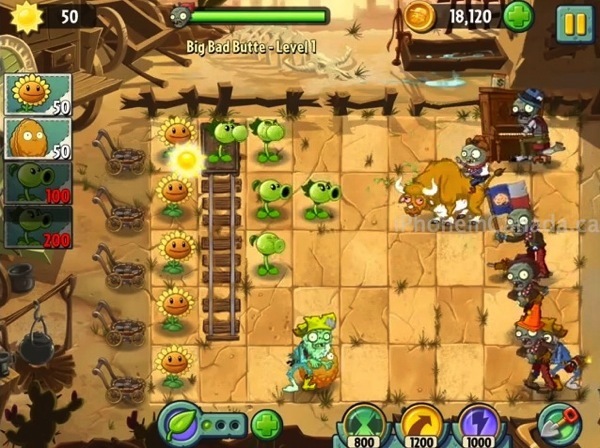 Don’t forget to check out our full video review of Plants vs Zombies 2. Click here to download Plants vs Zombies 2, it’s free. How are you liking the game?